Keetsa Plus Mattress (KEPLUS) at Pure Design / Bedroom / Mattresses ::: Furniture for the Home, Office, Home Office, and More at Pure Design Online! 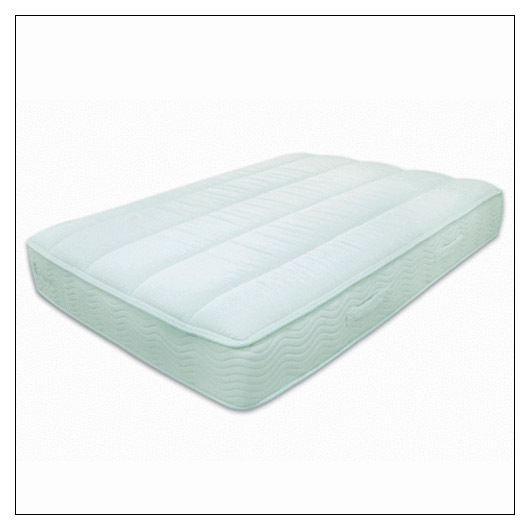 This iCoil mattress with body-conforming memory foam on top has an unbleached 100% organic cotton cover. Inside is a combination of materials: High Density Memory Foam made from recycled material, BioFoam that is made with a combo of natural (plant oils) & synthetic materials, and Evergreen, which is made from green tea and imbedded into the memory foam for long-lasting natural odor control. Comfortable and supportive! Complies with the Federal fire safety standard (16CFR1633). US sales only. Please allow 7-10 days to ship.